﻿ McGuffey House and Museum - Ohio. Find It Here. 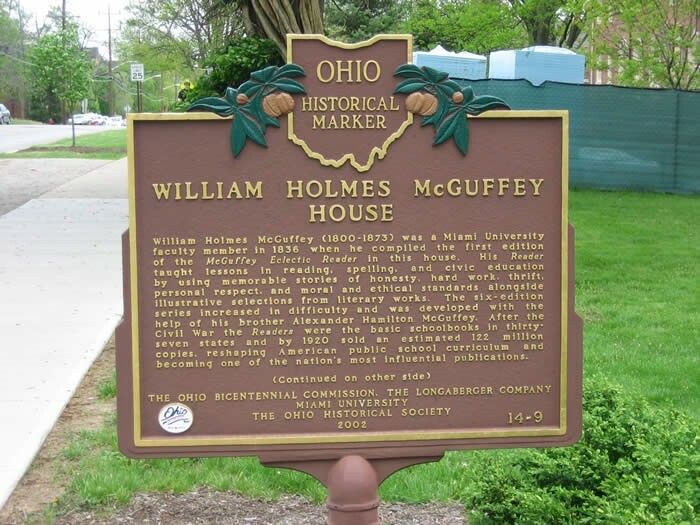 William Holmes McGuffey (1800-1873), Miami University faculty member in 1836, compiled the first edition of the McGuffey Eclectic Reader in this house. His Reader taught lessons in reading, spelling, and civic education by using memorable stories of honesty, hard work, thrift, personal respect, and moral and ethical standards alongside illustrative selections from literary works.This museum began as a small frame house in 1828 before being transformed into a brick home in 1833 in the Federal vernacular style common to the area. The west wing was added about 1860 in the first of a series of renovations typical of nineteenth-century domestic architecture in the Miami Valley. From the 1850s to 1958, several Oxford families owned the property. 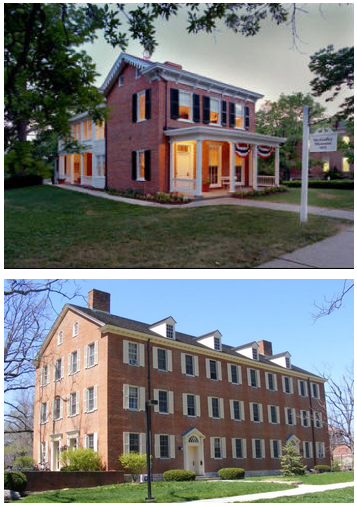 At the Miami University Sesquicentennial in 1958, the University purchased the house from the Wallace P. Roudebush family, and it was endowed by Emma Gould Blocker to serve as a museum of University history in honor of McGuffey's legacy. The museum opened to the public in 1960, and the house was designated a National Historic Landmark in 1966. It exhibits such unique artifacts as the octagonal table upon which the McGuffey Eclectic Reader was designed and the lectern McGuffey used as professor of Ancient Languages and Literature and University Librarian.